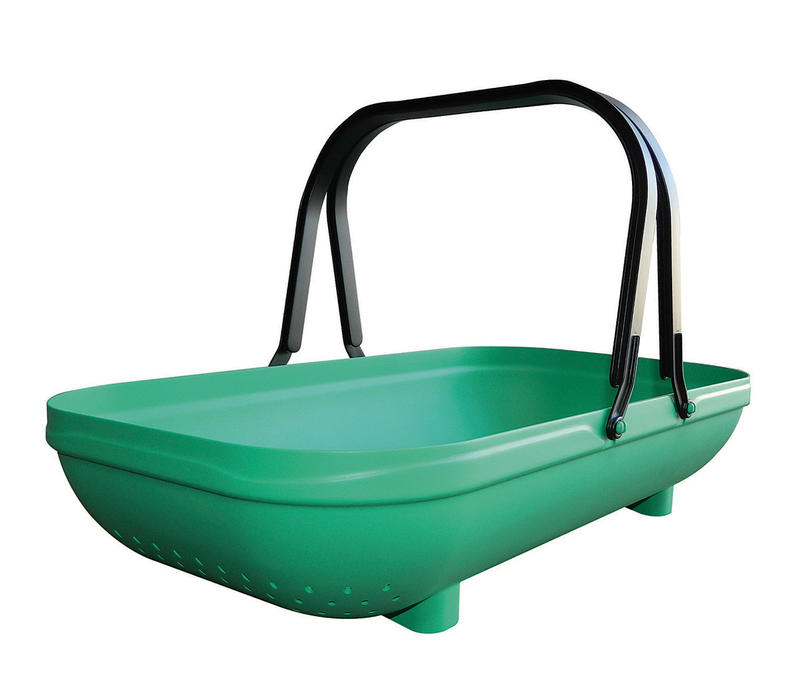 Use Trug-Tubs for weeding and pruning-they stand upright reliably. Then grab both handles with one hand for easy carrying. Use them for carrying tools and mixing potting soils. They'll even carry liquids without splashing and you can pour from them easily. Use them for carrying firewood and as party ice buckets. Because they're so flexible, they won't dent or rust and are easy to keep clean. Made in Spain for harvesting fruit in orchards. 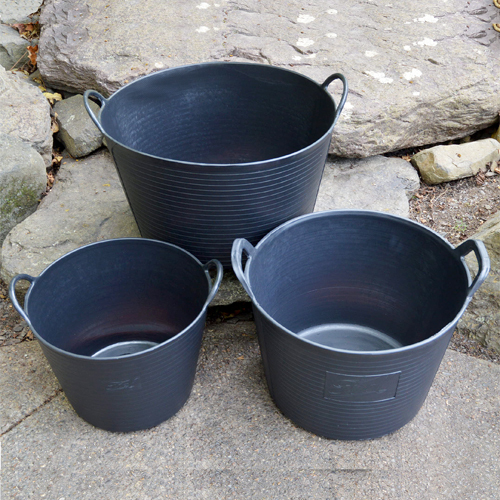 Red, blue, green, purple and yellow versions of our original sturdy black Trug-Tubs. Three sizes include a new handy smaller size that's perfect for transporting a few plants or an assortment of garden tools. 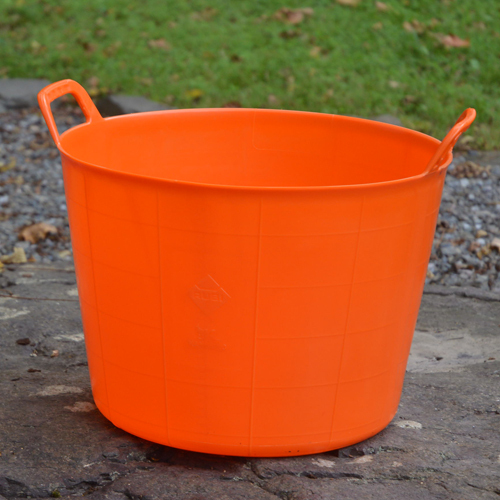 Aqua, Orange, and Lime Green versions of our original sturdy black Trug Tubs. Great for Patio Veggie gardening.